In this video, I'll show you how to build links. No matter how compelling your content may be, your site will be a dead end if you never link to other content that might be useful to your readers. I'd like to create a link to the Wikipedia page for the Acme Corporation. So first I'll copy the URL for this site, and then switch back to the editor. Next I'll highlight the words I want to convert into a link. Once the text is highlighted, I'll click the 'insert link' button to open the in-line link editor. Now, if you like, you can link to a page or a post from your own website. To do this, simply begin typing a title or search phrase and WordPress will display a list of any pages or posts that contain that search term. Then, just click the title of the post or page you wish to link to and WordPress will automatically populate the URL field with the web address to the page or post you selected. But to link an outside URL, like our Wikipedia page, we'll simply paste the web address into this field. If you like, you can further edit the link options. For example, you can choose whether to open the link in a new window or tab within our visitor's web browser.I'll click the button and now this anchor text has been converted into a link. The link pop-up shows the URL where this link is currently directed and allows you to easily edit or remove this link altogether. If we click the preview button, we can test our new link to the Wikipedia page, which opens in a new tab in our browser making it easy to return to our site. Another popular method of linking is to first insert an image and then use that image as a link. This is how you might create buttons, for example. But for now, let's return to the PDF of our product catalog that we created during our tour of the media library. During that video, we created this text link to our catalog. And when someone clicks this link, they'll download the PDF file. But what I'd prefer is to upload a thumbnail image of our catalog. which will provide a more visual link target. First, we'll need the URL for the actual PDF file that we uploaded earlier. So I'll just click within the link text and then click the 'edit link' button. I'll simply copy this URL and then close the pop-up window. And we can now remove our original text link since we'll be replacing it with an image instead. Next, I'll simply drag and drop an image of the catalog from my desktop directly into the editor window. When the image is finished uploading, we can edit the title or other details and then choose to link this image to a custom URL. I'll paste the URL to the PDF file which we copied earlier and then click 'insert into page'.Now we've got a much more user friendly image of our catalog. And when folks click this image the PDF version of our catalog will be displayed. By the way, you can use this same process to create buttons that function as links. 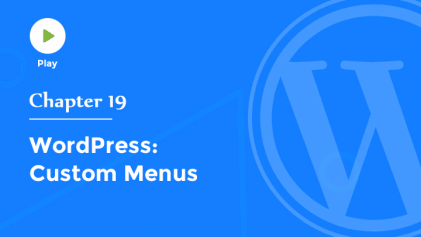 We've now covered all the basic functions and features of the WordPress administration area. So why not take a break and practice what you've learned so far. 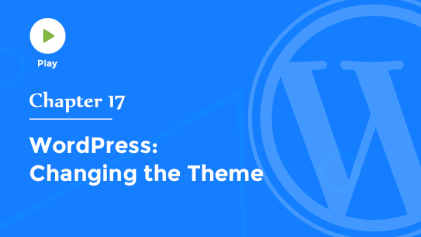 The next several videos will cover more advanced topics including how to customize your site's theme, add new features to your site via plugins, manage users, and much more.